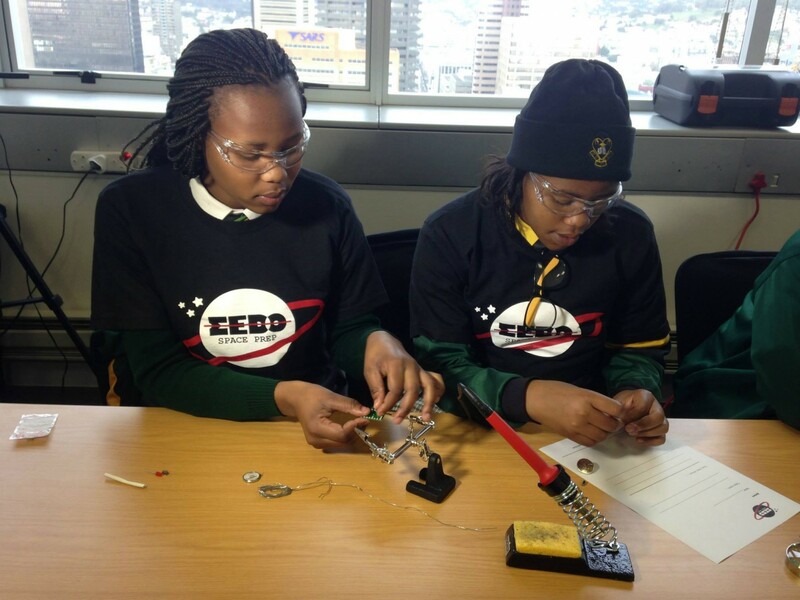 As opposed to a group of specialist engineers or inventors handling this project as expected, the creation of Africaâ€™s first private satellite is being powered by a group of teenage South African girls. The satellite, which will launch in the first quarter of 2016, is not only a celebration of African innovation, but a positive shift in participation of the African girl child who would have, in the past, let the â€œgeeky boysâ€� handle it. Pupils from across Cape Town witnessed the launch of this project backed up by the Meta Economic Development Organisation (Medo). In the course of the programme, they were tasked with engineering their own â€˜jiggy-botâ€™â€“ an electrical device, using diverse mechanisms to light up a bulb and move. The next segment would be carried out during week-long camps over school holidays called SPACETrek. At this stage, young women who make it through the earlier workshop will create their satellite payload experiments, and test them with the aid of high altitude weather balloons and radio communication. This programme is expected to inspire young African women, while equipping them with the knowledge they need to face the challenges of a previously male-dominated sector. However this can only be accomplished when young women begin to consider technology, science, engineering, and maths as a career, as skills within this information technology sector are seeing increasing demand. Medo CEO Judi Sandrock pointed out that these professions represent eight of the top 10 careers in demand in the country. Sandrock says the shortages of technical skills required for building businesses motivated the company to launch a science, technology, engineering and maths focused programme. With programmes like these, it is expected that more African women, like the three innovative South Africans, will be more willing to consider a career in male-dominated fields.